"The audience is drawn in by his charisma, and inspired by his talent. He loves what he does and passes that on to anyone willing to watch. The act is full of originality, and the juggling feats leave me impressed. I would recommend Will to anyone looking for a show that is both unique and memorable." 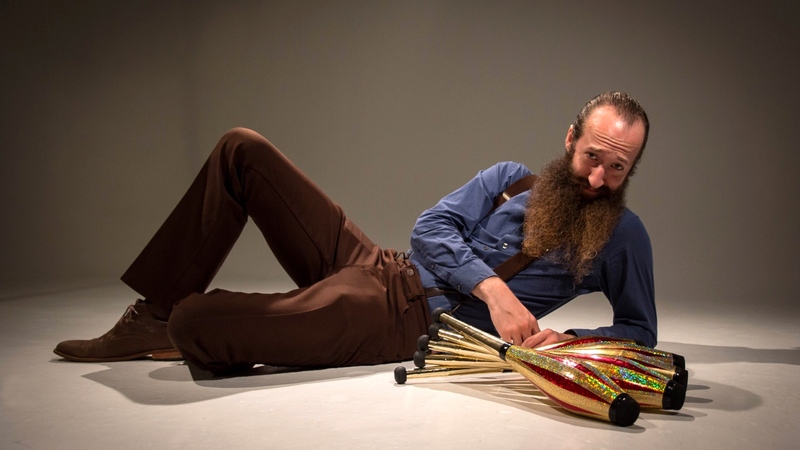 "Will Oltman brings to juggling what is needed in any discipline all over the world: passion. His dedication and practice of the ancient art of juggling is fed by his eye for design. Will is one of the few American jugglers today who is considering the future of where juggling can go next." "Over the past season Will has captivated tens of thousands of event-goers here at the Van Andel Arena with his dynamic blend of juggling and humor. A true professional in every sense of the word, Will is one of the most turnkey entertainment choices around... a true fan favorite!" "Will's show is not only professional but he is an amazing guy to work with... His show is highly entertaining, funny, and family friendly. If you are looking for a juggler, you can find many... but if you are looking for a juggler who has the 'it' factor... then Will Oltman is the man you want to hire!" "I know he has added something to our overall fan experience and I will plan on hiring him again many times in the future."